This fine institution – shanks’ pony – has been a vital part of human transport for generations. It is an old-fashioned term that means travelling by foot. I’ve been experimenting with this novel concept all week. Walking between appointments in the city during the business day (rather than catching a taxi). One thing that is making this possible for me is using a rolling laptop bag. Otherwise the thought of carrying around all my stuff (including laptop & work stuff) would be too depressing. 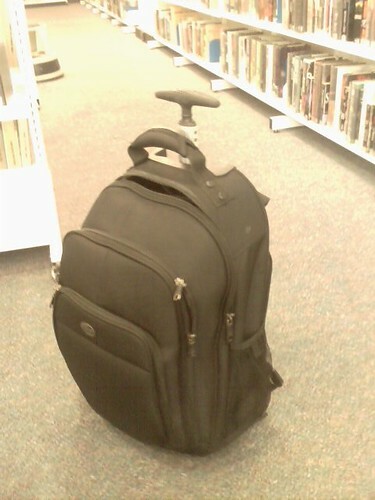 This wheeled bag has been a really good investment.